I've owned a Braun Impression KF 600 for a while. 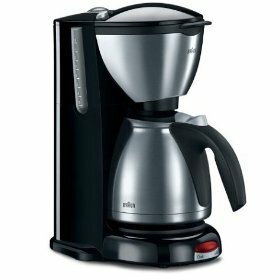 Before, I lived with some friends in the same apartment, and we all shared coffee from my Braun, since it brews a hefty 10 cups. It's been the staple source of our coffee for years, and I never imagined I'd be needing a different coffee maker. I've tranfered to a different apartment. Now that I'm living by myself, I think it would be more practical to own a single cup coffee maker, since I can't finish 10 cups by myself. I've looked at different brands, and there are two coffee makers that I'm contemplating on: a Black & Decker Brew and Go, and a Keurig B40 Elite.